DALLAS — Since 2000, State Senator Royce West (D-Dallas) has made increasing contracting opportunities for minority-owned businesses a priority through the creation of the "Doing Business Texas Style" - Spot Bid Contract Fair. This year's Spot Bid Fair produced more than $3.5 million in total contracts with nearly $2.48 million awarded to Texas minority-owned businesses; designated as Historically Underutilized Businesses (HUB) by the state. The Spot Bid Fair was held May 8-9, 2017 at the Irving Convention Center where more than 80 state agencies and universities were on hand and prepared to offer contracting opportunities to Texas-based HUB businesses. 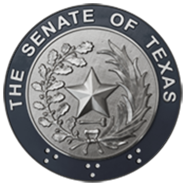 "Each year, the State of Texas spends billions of dollars for the purchase of goods and services. Included in those billions spent are highway projects and state-owned buildings, such as with our university systems which are paid for by taxpayer dollars," Senator West explains. "With this level of procurement should come tremendous opportunities to help stabilize and grow small and minority-owned businesses. I have made it my business to see to it that these opportunities are made available to Texas HUBs. I see it as a win-win situation for all parties involved." In 1997, Senator West co-authored Senate Bill 178, whose language encouraged state agencies with annual budgets that exceed $10 million to develop procurement plans inclusive of HUB vending opportunities. Locally, the University of North Texas at Dallas reached agreements with HUB businesses totaling more than $255, 000. The Texas Department of Public Safety awarded 60 contracts for services with HUB businesses worth nearly $279,000 through the fair. Also locally, UT Southwestern Medical Center reached agreements totaling $111,000. Contracting opportunities with state agencies typically fall under the categories of building construction or heavy construction, professional services - such as accounting or architectural services, and for products or other commodities. According to the Comptroller's Office, 550 HUBs pre-registered for the Irving contract fair, which was co-hosted by the Dallas/Fort Worth Minority Supplier Development Council. They were awarded more than 700 contracts with state agencies and Texas' universities. For more information, please contact Richard Dominguez or Kelvin Bass at 214-467-0123.